Been meaning to share this for a while. If you read The Read-Aloud Handbook, loved it and were inspired by it, this should be next up on your list. Dr. Steven Layne is Professor of Literacy Education at Judson University, a literacy consultant and was a teacher in public education for fifteen years. 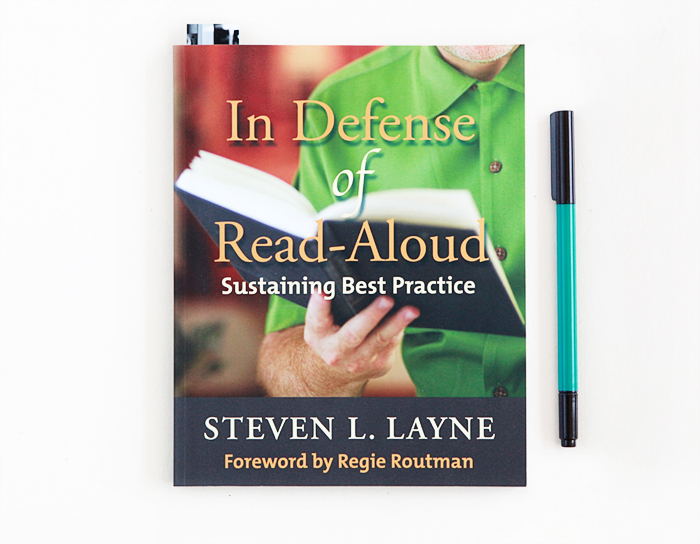 In his book In Defense of Read-Aloud, Dr. Layne presents the art of the read-aloud. He talks through the how, the when and the why of reading aloud to children and the increasing body of research supporting it.